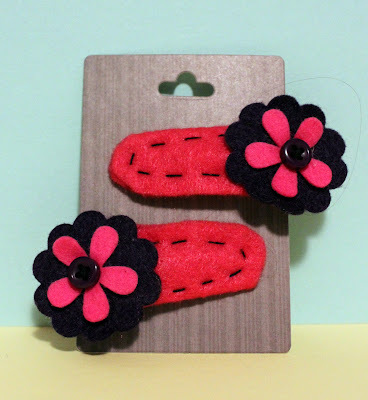 Today, Papertrey introduced a very adorable set of products that allows you to create handmade hair accessories for the little girls (and old alike) in your life and a perfect way to package them as lovely gifts. So, the challenge is to create a homemade accessory of some sort making use of at least one Papertrey product. I decided to make these darling clips for my little one. Can't wait to get my hands on those new dies to make my sewing easier and a little more polished, ha! 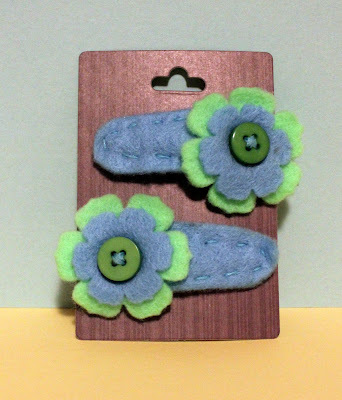 I used Papertrey's beautiful blooms dies and packaged them using the button card die. I also whipped up a flower brooch using my favourite yo-yo maker. 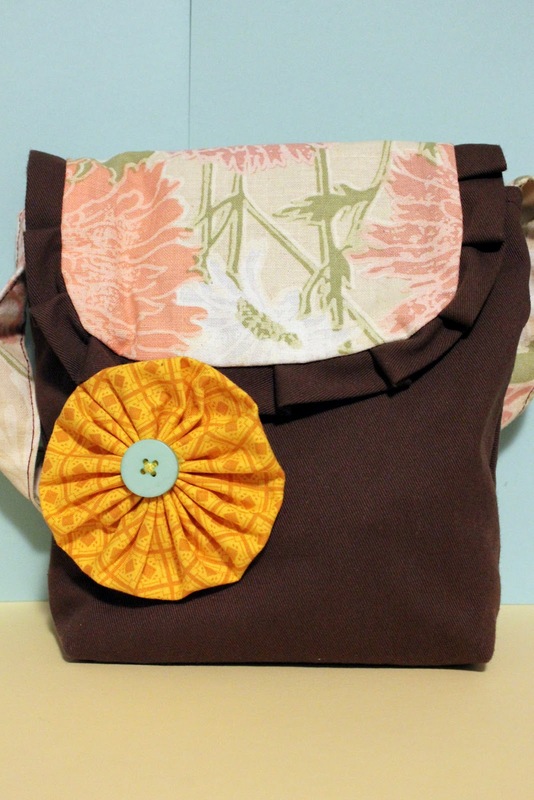 I finished it off with a Papertrey aqua mist button. Ever wonder what to do with those oversized buttons in your collection? Well, folks, here is one of them. Thanks for stopping by and happy Valentines day! Look at you go, Irma! You don't even need this new die set! These look terrific! What's a yoyo maker? I love the end result! Those are sure pretty little clips, and I love your yoyo flower! 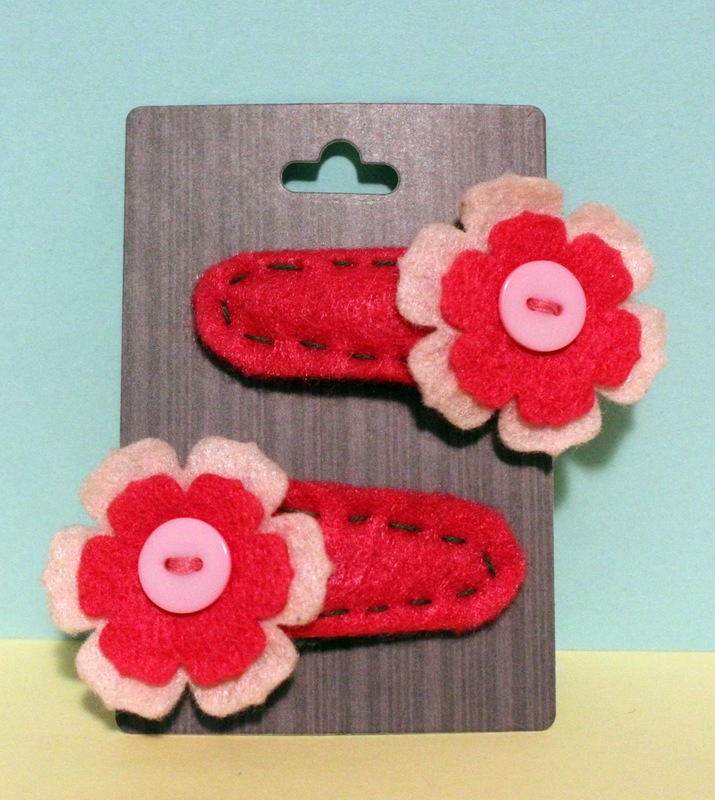 Love your hair clips. i don't think you need those dies. The ones you made are so much prettier.